Chemglass CG-1043-18 Universal Thermometer Inlet Adapters 29/42 Inner 18 Thread . New Life Scientific, Inc. 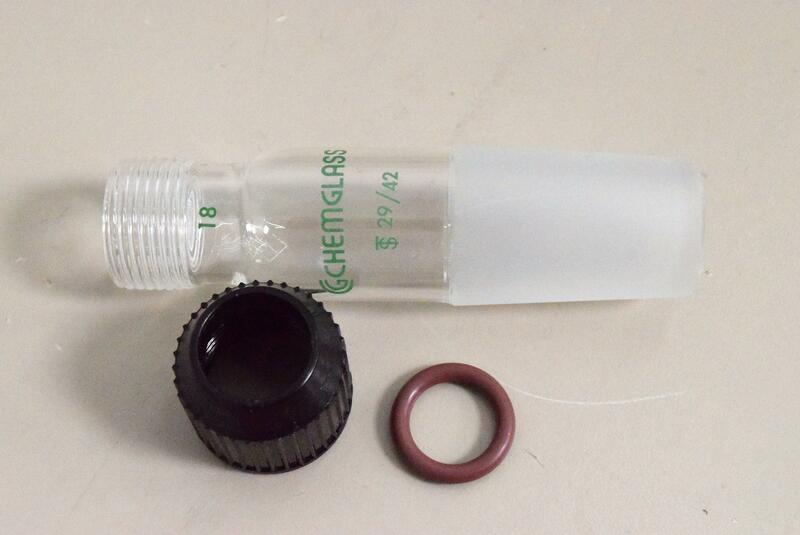 This adapter was originally acquired from a US pharmaceuticals lab. There are no visible cracks or chips to the glassware that would hinder its efficacy. Retail price $49.15 -- Buy now and save. to 18mm O.D. such as thermometer wells, gas dispersion tubes, plain stem funnels, etc.